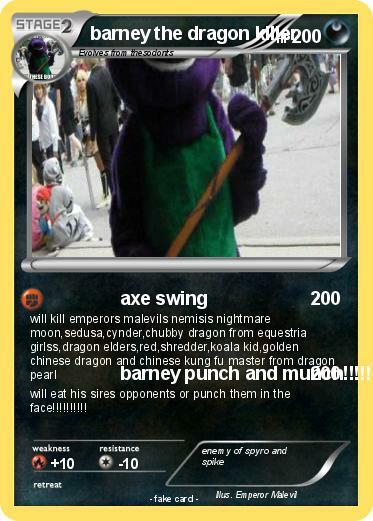 Attack 2 : barney punch and munch!!!!!!!!!!!!!!!!! will eat his sires opponents or punch them in the face!!!!!!!!! !